There have been significant changes in the real estate industry in recent years. Besides being one of the most challenging markets we have seen in a century, the dynamics of how the market operates have drastically changed as a result. Today, 97% and soon nearly 100% of home buyers will use the internet as their key resource for finding their next home - a change that we at RealEstateSINY.com saw coming years ago. Since 2008, in the midst of the worst recession in modern history, we experienced incredible growth. With nearly 40 million site visitors 28,000 registered users we have had a sales growth of over 300% year over year. To put that in perspective, the housing market had shed nearly 70% of its volume sales over the same five year period. What RealEstateSINY.com and our team of Staten Island REALTORS® have been able to accomplish over the last decade is rather remarkable. We studied the patterns of today's much savvier home buyer, and provide them with a much more complete approach to the home buying experience. I'm sure you have seen the national websites that display listings for Staten Island. Well, we took that concept and were able to take it much further. The main key was to make our website engaging and useful, to keep home buyers tuning in with us daily. For us, this means keeping every available Staten Island listing updated and easily searchable by users of our website. In turn, we're able to engage proactively with our clients. Ready to start looking at properties? Search the latest real estate listings in Staten Island, New York. We knew it was imperative for our business model to be in control of how potential buyers viewed the homes we listed. That means controlling the advertising medium in which we now operate. 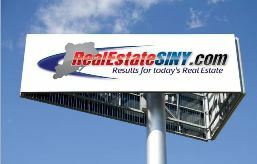 Beyond just a real estate company, we are an entire internet media channel for Staten Island real estate. What does that mean for our clients? It means we can market the way we want, without much reliance on third-party marketing platforms. Ultimately, it puts our clients' listings ahead of other companies that rely primarily on external venues to advertise their clients' listings. Basically, we have control over an entire advertising medium. For buyers, we offer a full resource website that surpasses any single entity that can be found locally - even nationally. We provide the most accurate and up-to-date data on every available property for sale on Staten Island. It's searchable, easy to manage, and is a one-stop resource for consumers interested in purchasing a home on Staten Island. Our knowledge of local communities has allowed us to categorize locations and towns based on buyer needs. With the click of a mouse, a call, or online chat to set up appointments, the service our Staten Island real estate agents provide for our clients is unprecedented for a local real estate company. Meet our Staten Island NY real estate agents and brokers. We're not just another real estate company, but an entire local real estate media channel. Our company name, RealEstateSINY.com, is part of our marketing strategy; it's both generic and Staten Island-specific. This means that buyers who live outside of Staten Island won't have to fumble around looking for specific company websites to find us. By keeping it simple, we stay engaged with potential buyers because we feature every home. The number one job of any real estate broker is to generate buyers for their sellers' listings. No one has done a better job than us in creating a complete strategy that features both proactive and reactive marketing strategies. With buyers consistently engaging us, we're able to market our listings by showcasing our sellers' homes where buyers will be looking. This puts us in control, rather than having to rely on third-party advertising firms. By being proactive in our marketing, we're able to efficiently match our registered buyers with listings that meet their specific criteria. This contrasts with what you might think that real estate marketing is, and that's what we mean by being proactive. This feature alone is one of the key reasons we have been as successful as we have been in getting our clients' homes sold. Check out our Featured Staten Island MLS Listings. Historically, there has been little about real estate marketing that has been exciting. But we've changed that quite a bit. One thing you'll notice about most real estate marketing is that the agent only provides a quick summary of a property's specifics, with maybe a few lines highlighted. We on the other hand, provide a comprehensive overview of what it's like to live in your particular home and neighborhood, as well as point out positive features that your home offers. This is done in story form, rather than just a quick summary. With our blog platform, we're able to syndicate this information as a newsworthy story, so that it is shown as headline news on CNN, WCBS New York and the New York Post, not to mention several other newsworthy websites. We are the only company locally that is able to perform this level of marketing. Our company was built not just on an idea, but a completely tangible and carefully planned marketing approach for what may be our client's greatest asset. The simplest example of that is reading this company profile alone. It's comprehensive, and more than that, we are proud to tell you every detail. It's this kind of confidence that has driven us to increase business by more than 300% in the last three years. Our agents and company leadership are proud to be at the forefront of what the real estate industry has become, and we have hired the very best agents to exceed your expectations. That means our clients are getting the very best service, and we stand for nothing less. We look forward to serving you soon. You can get in touch with our team of Staten Island REALTORS® and brokers by calling (718) 966-9669 or contacting us online.